I should be sleeping now since I will be waking up very early tomorrow for the Nine morning mass. In fact I only have few hours left. My phone alarm is set to alarm at two thirty in the morning. But I could not let this day pass without posting my share for Pink Fridays. So here is it. Yay, for some reason I could not upload the photos now. I shall try again tomorrow morning when I arrived from the church...Goodnight for now.. The blogger won't allow me to uplad photo still so I just use my Photobucket account so I can upload my pictures. 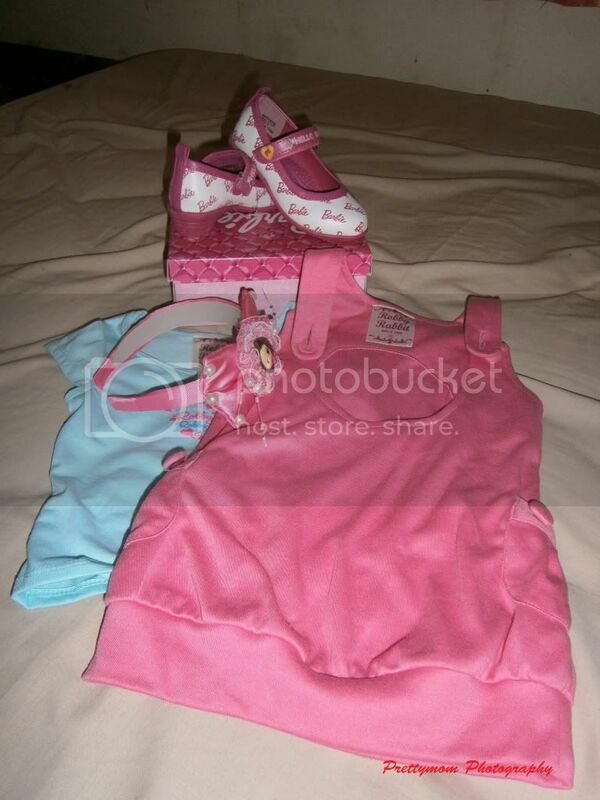 Anyways, above is the stuff I bought for my niece. 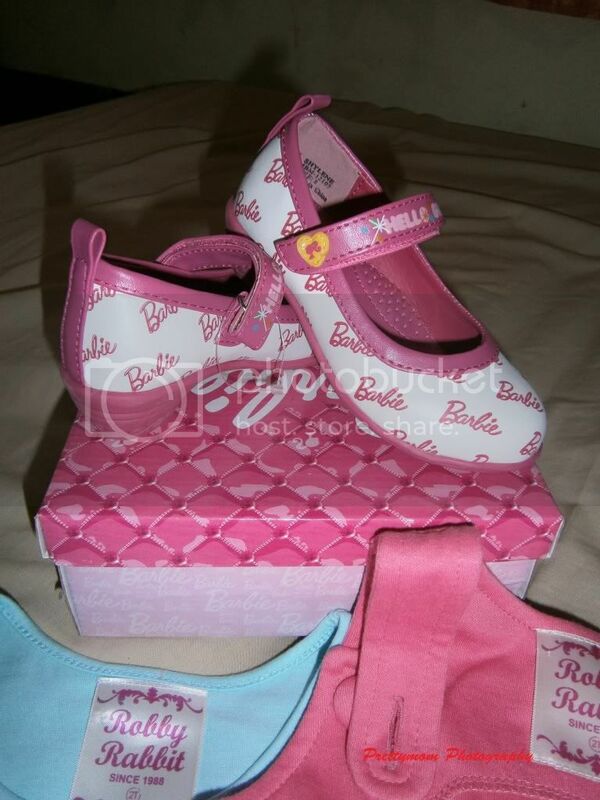 A Barbie shoe, Robby Rabbit dress and since she is a Dora lover I decided to bought her a Dora headband. 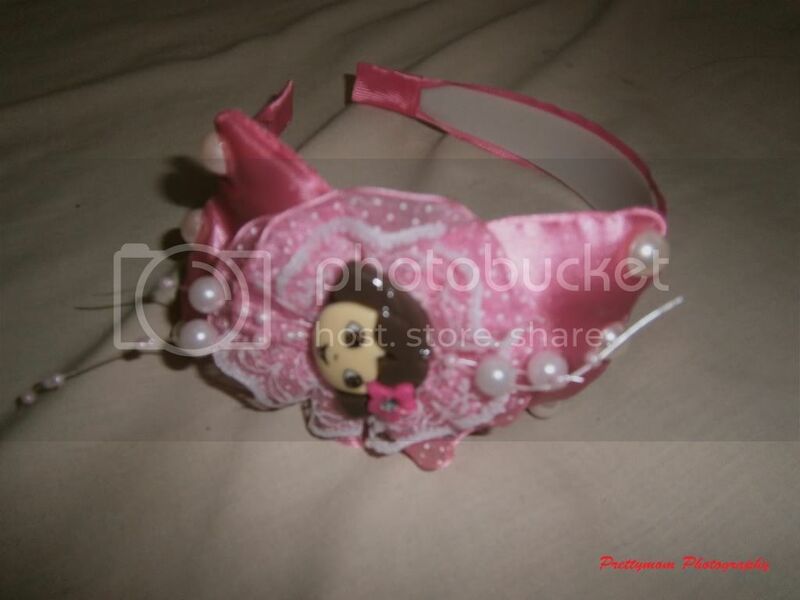 A closer look of the Dora Headband. Isn't is cute? Another photo of the Barbie shoe. 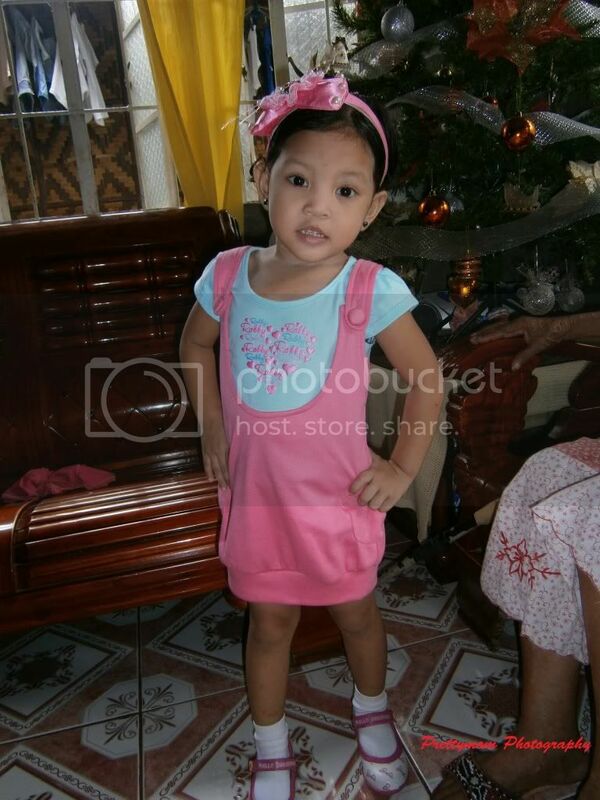 Finally, my niece modeling her new stuff during thier Christmas Party few days ago. How about you? What do have for Pink Fridays?